Not all shower heads are created equally. Some offer just a standard spray, while others do so much more. The angle of the shower head also matters, as some of them are designed to rain down water and others shoot water at more of an angle. Both can be good options, and choosing a shower head that allows you to have a selection of sprays in the future can help reduce the chances that you’ll need to make changes or upgrades later. Rain heads can be good for washing if you need to sit down during your showers, but they may also put too much water straight down onto you, and that might not be comfortable. 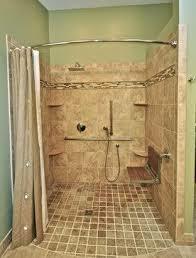 You may also want to consider a removable shower head, so you can move it around and wash more easily. These shower heads have a hose that hooks into where the shower head would normally be, with the actual spray and adjustments are on the other end. Since you can move this around to where you need it and change the spray type and strength, it’s easier to wash and get clean while still being comfortable and safe. These are also easier to replace at a later date if necessary. They also aren’t generally expensive options, so they can be done on a budget as you work to remodel your space. All new construction or any bathroom remodel should include an accessible shower with head combinations in multiple locations to fit anyone's desires. Incorporating universal design principles into your home's custom walk in shower design can facilitate aging-in-place goals, while comfortably addressing the diverse needs of all ages and mobility levels using your home. Rain heads coming out of the ceiling, body heads coming out of the walls in many locations, or hand held units attached to the shower walls can make things very interesting and relaxing. These combinations of heads and locations can be used to create rain effects, provide relief for muscle aches through body massages, or simply provide pin point convenience with hand held variable heads. The possibilities are endless as you dial in your bathing environment. Steam generators are also being considered as an investment in today's fine bathroom designs. The steam heads can make the difference after a tough day when you're looking for that more therapeutic spa experience. This has certainly led the way to the thermostatic shower valve with plumbed-in hand held shower that is being used specifically in homes today where the owner is planning to retire. Roll in showers without curbs are advised for everyone on a universal level for an accessible bath. The threshold is the most dangerous component in any shower. Not only is it impossible to overcome in a wheelchair but it isn't safe for those who are vision impaired or those with mobility issues. Low threshold shower bases with add on ramps can solve the shower entry problem when the floor cannot be lowered to form a true contoured roll in slope. ADA compatible curbless roll in showers are at a minimum 5 feet wide by 3 feet deep while a 5' by 5' floor is optimum. Using a 32-36" clear entrance in a shower partition with an out-swinging door is advised for everyone. Remember wider is better. Upon exiting the shower a clear floor space having a five feet turning radius is desired. The roll in shower should contain a shower wand on a sliding bar mounted at 48" above the floor to be available for varying heights of use accompanied by a regular height fixed shower head above both of which are regulated with a diverting controller valve. Always use a shower valve that is thermostatically controlled and pressure-balanced to prevent scalds. If you desire a full body wash, you can include a regular shower head as well. Installing fixtures with a scald guard or lowering the temperature at the water heater is a must to prevent burns. Fold down seats are useful if caretakers are involved. One of the most important things you can do early on in your remodeling project is add grab bars and rails. These can be installed nearly anywhere, and they should be mounted into studs to ensure that they’re as secure as possible. Secure grab bars on wood grounds around the entire shower perimeter installed at 34-36" above the finished shower floor increasing the safety factor and helping to prevent falls. A recessed shower can light fixture needs to be installed above the shower area for proper lighting. 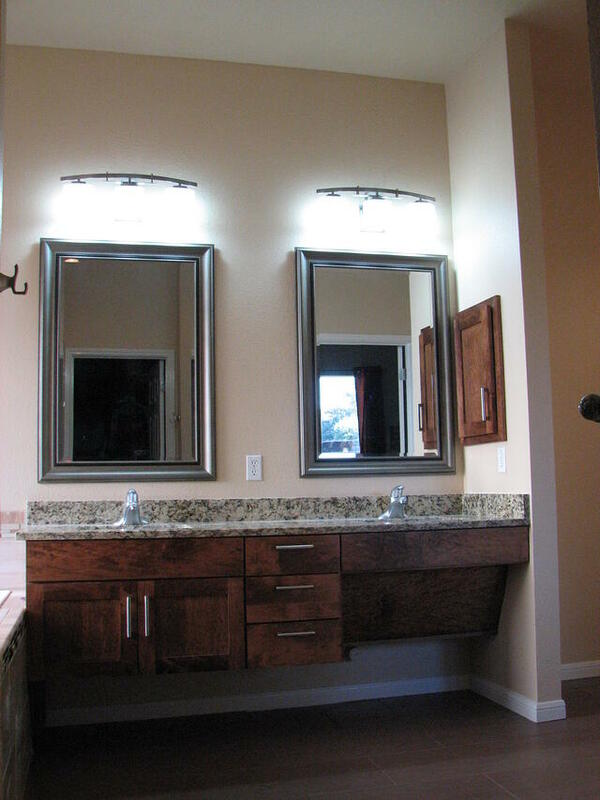 A well lit bathroom is a safer and more comfortable bathroom. You’ll also want to consider other lights that can help you see if an overhead bulb goes out. All of the bathroom floor surface must be nonskid type to prevent slipping on a guaranteed wet floor. Marble, for example, can become very slick with just a little bit of water. But there are tiles available that have a rougher surface. They’re comfortable to walk on, but not as slippery. You may also want to consider laminate, as it’s generally less slick than tile would be, whether it’s wet or dry. While mats and rugs can protect the floor and keep it from being too slick, they can also be tripping hazards. Consider thinner rugs that don’t bunch up easily, along with rugs that have rubber backing and won’t slide around. 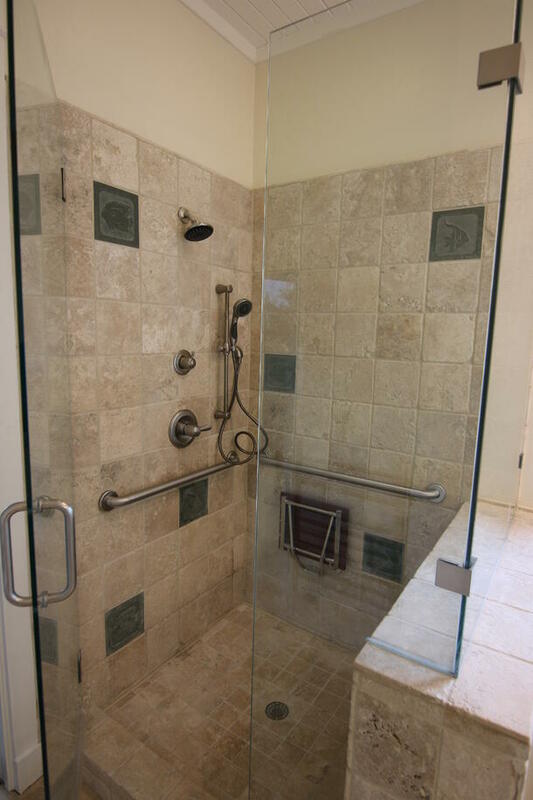 The mat in your bathtub or shower should stick tightly so walkers and wheelchairs won’t get caught on it. You can also choose a tub or shower with a textured bottom to avoid sliding, and you won’t need to use a mat inside.Some bathrooms are not right for rugs and mats of any kind. Sometimes even the best options can still get bound up in a wheelchair or the edge caught by a walker. This makes them more frustrating than helpful, and also causes a risk of falling. Mats and rugs may not be suitable for smaller bathrooms where there isn’t much room to maneuver. The tighter the space, the better off you may be with simply a good flooring product that won’t get too slippery if some water gets onto the floor. Many people find themselves needing accessible homes for themselves or family members. There are approximately 30 million Americans using wheelchairs and the number of people who need accessible homes will continue to increase as disabled and aging people are finding more ways to remain living in their homes. One important way to increase independent living is making a home accessible to an individuals personal needs which brought on the idea of wheelchair remodeling. Home modifications can increase safety, accessibility, and independence for people who want to live independently. Roll in showers without curbs are advised for everyone on a universal level for an accessible bath. The threshold is the most dangerous component in any shower. Not only is it impossible to overcome in a wheelchair but it isn't safe for those who are vision impaired or those with mobility issues. Low threshold shower bases with add on ramps can solve the shower entry problem when the floor cannot be lowered to form a true contoured roll in slope. ADA compatible curbless roll in showers are at a minimum 5 feet wide by 3 feet deep while a 60 inch by 60 inch floor is optimum for most any situation. Using a 32-36" clear entrance in a shower partition with an out-swinging door is advised for everyone. Remember wider is better. Upon exiting the shower a clear floor space having a five feet turning radius is desired. If the shower is deep enough and you can get by with merely a splash panel this will eliminate installing another architectural barrier represented by a shower door. The roll in shower should contain a shower wand on a sliding bar mounted at 48" above the floor to be available for varying heights of use accompanied by a regular height fixed shower head above both of which are regulated with a diverting controller valve. Always use a shower valve that is thermostatically controlled and pressure-balanced to prevent scalds. If you desire a full body wash, you can include a body spray head as well. Installing fixtures with a scald guard or lowering the temperature at the water heater is a must to prevent burns. Fold down seats are useful if caretakers are involved. 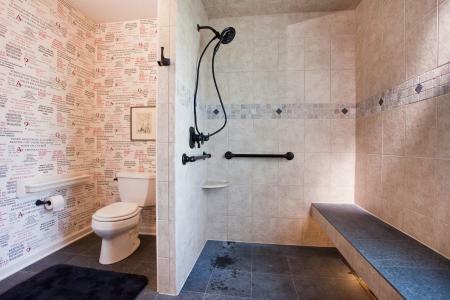 Sometimes it makes much more sense to have a moveable chair or bench, so you can enter and leave the shower or tub more easily. In other cases, it may be better to have a built-in option to which you can transfer. The only problem with making this choice is that you don’t absolutely know what specific issues you will have – nor the options you will prefer – in the future. Built-ins, along with enough room for removable selections, can be the way to go If you have the space. This gives you the highest number of choices possible as your needs change over time. Most importantly, secure grab bars on wood grounds around the entire shower perimeter at 34-36" above the finished shower floor increases the safety factor and helps to prevent falls. A recessed shower can light fixture needs to be installed above the shower area for proper lighting. All of the bathroom floor surface must be nonskid type to prevent slipping on a guaranteed wet floor. Especially if you live alone, falling in the shower or the bathroom can be physically devastating. It is also a frightening experience, and a lot of time can lapse before anyone discovers that you need help. Sometimes you can address this problem without making significant changes on your property. These include alarm systems that alert people to a fall, or arranging for someone to check on you at least once or twice a day. But not everyone who ages in place has these kinds of options. Remember, convenience issues are safety issues. You must be able to move easily and safely to each part of the bathroom facilities, and you need to be able to do it conveniently enough that you are not tempted to do unsafe things. If your current bathroom is not safe, or you find that it is inconvenient, it may be time to seriously look at a remodel. Designing around specific physical conditions for handicap accessibility will lessen the impact of say arthritis, restricted mobility, or loss of vision by using combinations of products, concepts, and techniques available today. Working as a team, a trained CAPS specialist along with any family caretakers or therapists is able to identify the day to day problems weighing on those with health limitations. If you are considering an aging in place remodel for your home don't just contact any local remodeler in your area and expect a satisfactory accessible home modification. A professional design/build accessibility project can only be created for your specific needs by a qualified home remodeler having a nationally accepted CAPS or Certified Aging In Place Specialist certification. This credential is backed by the NAHB. Only a CAPS home remodeler possesses the specific knowledge that will insure a successful outcome for your accessibility or aging in place project and what's more, keep you in your home longer. 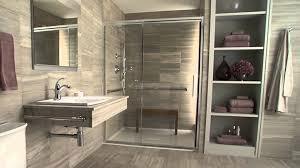 Remodeling a bathroom for someone who is aging in place is very different than one based on aesthetics or home value. If you or a loved one are remodeling with an eye toward future needs, there are some very important issues to consider before you start and as you’re going through the process. From design, to safety, to ease of use, remodeling a bathroom will take time and effort, and there will be costs involved. But for anyone who wants to age in place it can be very worthwhile to have a bathroom that is comfortable and safe to use easily as needs change. All new construction or any bathroom remodel should include an accessible shower with head combinations in multiple locations to fit anyone's desires. Incorporating universal design principles into your home's custom walk in shower design can facilitate aging-in-place goals, while comfortably addressing the diverse needs of all ages and mobility levels using your home. Rain heads coming out of the ceiling, body heads coming out of the walls in many locations, or hand held units attached to the shower walls can make things very interesting and relaxing. These combinations of heads and locations can be used to create rain effects, provide relief for muscle aches through body massages, or simply provide pin point convenience with hand held variable heads. The possibilities are endless as you dial in your bathing environment. Steam generators are also being considered as an investment in today's fine bathroom designs. The steam heads can make the difference after a tough day when you're looking for that more therapeutic spa experience. This has certainly led the way to the thermostatic shower valve with plumbed-in hand held shower for a roll in shower that is being used specifically in homes today where the owner is planning to retire. Many people find themselves needing accessible homes for themselves or family members. There are approximately 30 million Americans using wheelchairs and the number of people who need accessible homes will continue to increase as disabled and aging people are finding more ways to remain living in their homes. One important way to increase independent living is making a home accessible to an individuals personal needs which brought on the idea of wheelchair remodeling. Home modifications can increase safety, accessibility, and independence for people who want to live independently. Convenience issues are safety issues. You must be able to move easily and safely to each part of the facilities, and you need to be able to do it conveniently enough that you are not tempted to do unsafe things. If your current bathroom is not safe, or you find that it is inconvenient, it may be time to seriously look at a remodel. Especially if you live alone, falling in the shower or the bathroom can be physically devastating. It is also a frightening experience, and a lot of time can lapse before anyone discovers that you need help. Roll in showers without curbs are advised for everyone on a universal level for an accessible bath. The threshold is the most dangerous component in any shower. Not only is it impossible to overcome in a wheelchair but it isn't safe for those who are vision impaired or those with mobility issues. Low threshold shower bases with add on ramps can solve the shower entry problem when the floor cannot be lowered to form a true contoured roll in slope. ADA compatible curbless roll in showers are at a minimum 5 feet wide by 3 feet deep while a 5'x5' floor is optimum. Using a 32-36" clear entrance in a shower partition with an out-swinging door is advised for everyone. Remember wider is better. Upon exiting the shower a clear floor space having a five feet turning radius is desired. 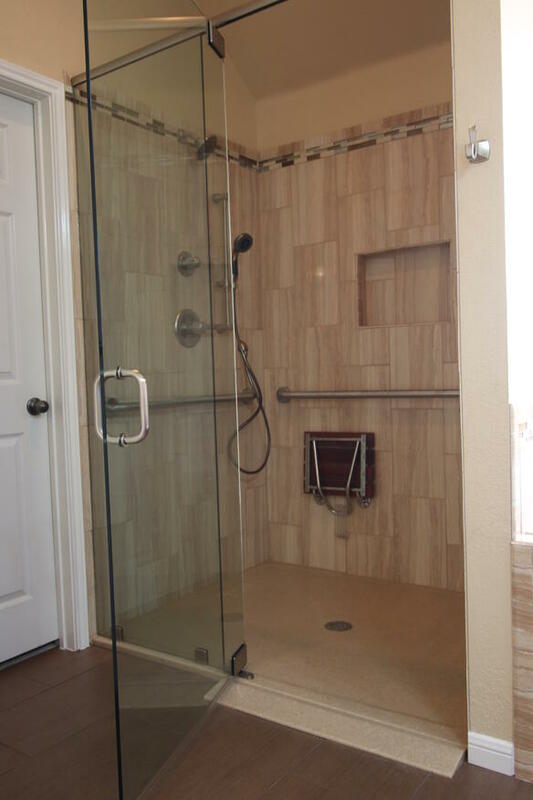 The shower should contain a shower wand on a sliding bar mounted at 48" above the floor to be available for varying heights of use accompanied by a regular height fixed shower head above both of which are regulated with a diverting controller valve. Always use a shower valve that is thermostatically controlled and pressure-balanced to prevent scalds. If you desire a full body wash, you can include a regular shower head as well. Installing fixtures with a scald guard or lowering the temperature at the water heater is a must to prevent burns. Fold down seats are useful if caretakers are involved. Secure grab bars on wood grounds around the entire shower perimeter at 34-36" above the finished shower floor increasing the safety factor and helping to prevent falls. A shower can light fixture needs to be installed above the shower area for proper lighting. All of the bathroom floor surface must be nonskid type to prevent slipping on a guaranteed wet floor. Peace of mind is more important than the cost, as long as you can safely afford your bathroom remodel. You’ll probably want to hire a contractor if you need to move plumbing or electrical around, since that can be difficult and dangerous. You may also need permits, and it’s sometimes easier to just let a contractor handle all of those things. New flooring, a need to move a vanity or a wall, or any type of framing or re-framing of a space or moving of facilities will generally need a contractor, as well. It’s not something most people will comfortable doing on their own. Many contractors are willing to work with customers on an aging in place remodel because they see the importance of that person’s continued independence. Architectural barriers create problems for mobility. All new construction or any bathroom remodel should include an accessible shower with shower head combinations in multiple locations to fit anyone's desires. Incorporating universal design principles into your home's custom walk in shower design can facilitate aging-in-place goals, while comfortably addressing the diverse needs of all ages and mobility levels using your home. Rain heads coming out of the ceiling, body heads coming out of the walls in many locations, or hand held units attached to the shower walls can make things very interesting and relaxing. These combinations of heads and locations can be used to create rain effects, provide relief for muscle aches through body massages, or simply provide pin point convenience with hand held variable heads. The possibilities are endless as you dial in your bathing environment. Steam generators are also being considered as an investment in today's fine bathroom designs. The steam heads can make the difference after a tough day when you're looking for that more therapeutic spa experience. This has certainly led the way to the thermostatic shower valve with plumbed-in hand held shower that is being used specifically in homes today where the owner is planning to retire. Accessible bathrooms today contain stylish vanities set at a universal height of 34 inches with clear knee spaces below. The sink faucets are easily controlled by either wrist handles or levers or they can be touchless being controlled by a motion detector. Toilets are available in comfort heights eliminating the deep knee bend needed for seating. Toilet seats are available with a heat feature and some have the ability to self close or have a night light. Many people find themselves needing accessible homes for themselves or family members. There are approximately 30 million Americans using wheelchairs and the number of people who need accessible homes will continue to increase as disabled and aging people are finding more ways to remain living in their homes. One important way to increase independent living is making a home accessible to an individuals personal needs which brought on the idea of wheelchair remodeling. Home modifications can increase safety, accessibility, and independence for people who want to live independently. Some permanent disabilities require constant wheelchair use. The home modifications must accommodate a person who is always seated. A five foot turning radius should be observed in the bathroom, kitchen, and living area so as not to restrict the movement of the wheelchair. An unobstructed barrier free accessible route will be determined during the assessment for wheelchair accessible remodeling. Clear wider hallways of at least 42" in width and doorways of at least a 32" clear width must be the standard. Light switches and cabinetry must be lowered where 48" is the reaching limit of a person sitting. Universal design and aging in place services in Austin have finally taken hold in the residential remodeling industry. The current housing inventory doesn't offer the features needed for safety and accessibility in the numbers needed to accommodate the growing demand. It is ultimately up to the homeowners and their families to plan for future housing needs. Our existing architecture does not lend itself well to accomplishing any easy aging in place home remodels in Austin. In fact, there are more inaccessible homes in all of the US than there are accessible homes and 45% of these existing homes are owned by the baby boomers representing the oldest group of homeowners. 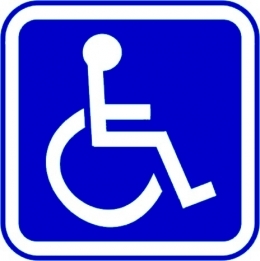 Generally speaking in most residential US properties there are no easy ways to enter into bathrooms or utilize kitchens without coming into contact with one architectural barrier or another-especially if a wheelchair or walker is being used to help with mobility issues. Everything requires the proper clearance and distance for a new customized accessible route in your home to function properly. Please consider this aspect in your design if an elderly parent will be coming to visit or you yourself suffer an unfortunate accident or develop a debilitating disease. Always keep in mind that we all age and provide for an easier aging in place situation. Roll in showers without curbs are advised for everyone on a universal level for an accessible bath. The threshold is the most dangerous component in any shower. Not only is it impossible to overcome in a wheelchair but it isn't safe for those who are vision impaired or those with mobility issues. Low threshold shower bases with add on ramps can solve the shower entry problem when the floor cannot be lowered because of structural limitations to form a true contoured roll in slope. 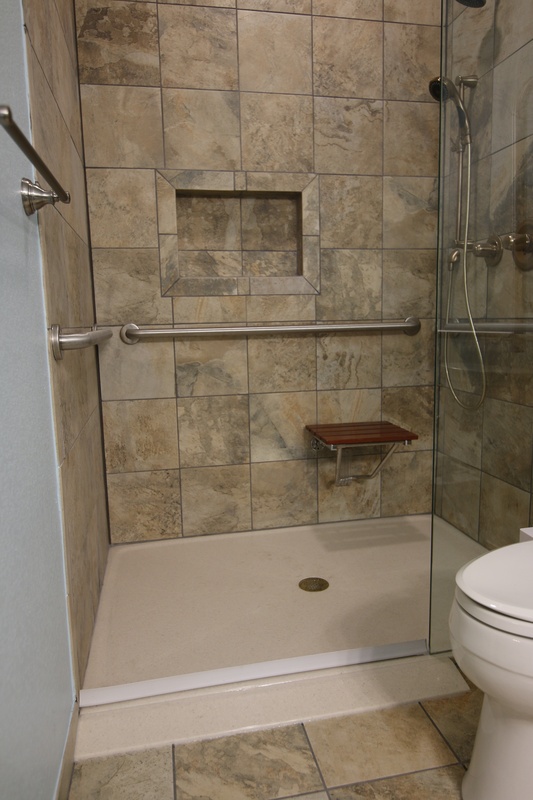 ADA compatible curbless roll in showers are at a minimum 5 feet wide by 3 feet deep while a five by five shower space is optimum providing more room for caretakers and adequate turning space for wheelchair maneuverability. Using a 32-36" clear entrance in a shower partition with an out-swinging door is advised for everyone. Remember wider is better. Upon exiting the shower a clear floor space having a five feet turning radius is desired. The shower should contain a shower wand on a sliding bar mounted at 48" above the floor to be available for varying heights of use accompanied by a regular height fixed shower head above both of which are regulated with a diverting controller valve. Always use a shower valve that is thermostatically controlled and pressure-balanced to prevent scalds. If you desire a full body wash, you can include a fixed shower head as well. Installing fixtures with a scald guard feature or lowering the temperature at the water heater is a must to prevent burns. Fold down seats are useful if caretakers are involved. Secure grab bars on wood grounds around the entire shower perimeter installed at 34-36" above the finished shower floor increases the safety factor by helping to prevent falls. A shower recessed can light fixture needs to be installed above the shower area for proper lighting. All of the bathroom floor surface must be nonskid type to prevent slipping on a guaranteed wet floor. A folding seat in the shower installed at 18" above the floor is useful if caretakers are ever involved and these seats are much safer than a free standing shower seat which can fall over. Grab bars around the bath and especially on all walls of the shower should be used. Non slip floor covering should always be considered with a DCOF of .46 or better. Recessed shampoo shelves can also help to eliminate clutter within the shower. Falls and slips are among the most common causes of injury to senior and elderly people requiring disability access remodeling. 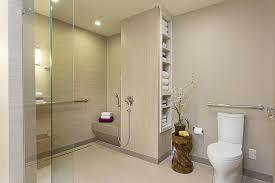 Smooth surfaces in combination with wet areas make the bathroom one of the most dangerous areas within the home. It is of paramount importance that the bathroom be updated providing safety for any person with limited mobility or the elderly. If you are on a tight budget and can only afford a few modifications, the bathroom is the first place to begin an accessibility remodel. The most basic improvements like installing grab bars to enhance safety issues are fairly inexpensive. Keeping ourselves independent requires planning during handicap remodeling projects providing accessible routes throughout the home. Sometimes just entering the home can be a problem if you find yourself in a wheelchair pondering on how to negotiate the steps leading to your front door. Traditional home builders have never considered the issues affecting mobility for the disabled or elderly. All new construction or any bathroom remodel should include an accessible shower with shower head combinations in multiple locations to fit anyone's desires. Incorporating universal design principles into your home's custom walk in shower design can facilitate aging-in-place goals, while comfortably addressing the diverse needs of all ages and mobility levels using your home. Rain heads coming out of the ceiling, body heads coming out of the walls in many locations, or hand held units attached to the shower walls can make things very interesting and relaxing. These combinations of heads and locations can be used to create rain effects, provide relief for muscle aches through body massages, or simply provide pin point convenience with hand held variable heads. The possibilities are endless as you dial in your bathing environment. Steam generators are also being considered as an investment in today's fine bathroom designs. The steam heads can make the difference after a tough day when you're looking for that more therapeutic spa experience. This has certainly led the way to the thermostatic shower valve with plumbed-in hand held shower that is being used specifically in homes today where the owner is planning to retire. Accessible bathrooms today contain stylish vanities set at a universal height of 34 inches with clear knee spaces below. The sink faucets are easily controlled by either wrist handles or levers or they can be touchless being controlled by a motion detector. Toilets are available in comfort heights eliminating the deep knee bend needed for seating. Toilet seats are available with a heat feature and some have the ability to self close or have a night light.